Date of Birth : 960 A.H.
Hazrat Meran Hussaini Al Hamvi (R.A) renowned and famous as Hazrat Syed Meeran Hussaini (R.A) and belongs Sadat (descendant of the holy prophet through his daughter Hazrat Fatima) member. And because of this reason his name is called Hussaini and due to too much used of this name he is called as Hussaini instead of Hussein and his patronymic name is known as Ghouse-us-Sani and his title is well known as Shah Abadal. Hazrat Meran Hussaini al Hamvi (R.A) belongs to the family of Sheikh Abdul Qadir Jilani of Baghdad and is connected with above the great Sheikh in the 14th generation. Hazrat Meran Hussaini al Hamvi (R.A) was born in the year 960 A.H. in the renowned city of Iraq Mamat and for this reason he is called Al-Hamumi. Since his early age Hazrat Meran Hussaini al Hamvi (R.A) was much interested in knowledge of Zaheri (outside) and with this knowledge of Zaheri (outside) and there was passion in him for Talab Haq (one who seeks Allah) and he become perfect in the following upon doing his great endeavours and several hard tasks in this matter. After long time Hazrat Meran Hussaini al Hamvi (R.A) was obtained caliphate upon his bait (pledging spiritual allegiance) with his father Hazrat Syed Shah Masud Hassan al Hussaini Qadri Baghdadi (R.A) and upon getting award of saintly dress he has started the teaching preaching work of Islamic religion in the foreign land. During his youth period Hazrat Meran Hussaini al Hamvi (R.A) was migrated from his birth place Hamat and reached to Golconda kingdom along with his 100 disciples and devotees and settled down in the Masjid which is near Golconda fort in Malkapur village (Lunger House) and till his last days he lived there. Hazrat Meran Hussaini al Hamvi (R.A) has complete trust in Allah and he used to engage entire night in worship of Allah and he never neglected his Tahjud prayer (supererogatory prayer in early hours of morning .He had disconnected himself with mankind and world. He was always busy in Zikar (invocation) and shagal (engagement). Because of his Tawakal (trust in Allah) and Istagna (content) he did not accept gifts by his disciples and devotees. He was extremely kind hearted pious person. He used to help poor and needy people. Because of his following qualities large numbers of people were always present around him to get his favours and attention. General and special people used to get benefits by his Faizan (favour) and Irfan (intimate knowledge of Allah). There are several events of his miracles and revelations are available in the history records and from his several miracles one of the following events is well known and famous. Once there were 100 people with him and there was nothing available with them for their food for 3 days and for this reason darwesh and other people in the shrine were facing sever hunger with them and feeling problem and difficulty in this matter. On the fourth day as per order of Sultan Mohammed Quli Qutub Shah of Golconda kingdom, the companion of sultan, Istaqlal khan come to his residence with 50 Kawan (trays) of different food items and presented them to sheikh so he has accepted the Kawan (trays) and distributed them to his 100 companions and all have eat the royal food as per their requirement and needs. So upon this sheikh closed the Kawans (trays) and returned them to the royal kitchen. In the royal kitchen when the royal servants opened the Kawans (trays) and they found all Kawans (trays) as it is and there was no shortage in them. For this reason upon watching his great miracle Istaqal Khan immediately proceeded to Sheikh’s residence and become his true disciple and devotee. There is no death for pious and holy personalities of Allah but as per rules and regulations, Allah will transfer them from one place to another and another world is better than this world and this transfer is recognized as death or another world. This great pious personality of Allah left this word on 13th Jamad Awwal in year 1049 A.H at the age of 90 years. His name is Hazrat Meran Hussaini al Hamvi (R.A) but he was well known and famous as Hazrat Syed Meeran Hussaini and he belongs to Sadat (descendant of the holy prophet through his daughter Hazrat Fatima) member. And because of this reason his name is called Hussaini and due to too much used of this name he is called as Hussaini instead of Hussein and his patronymic name is known as Ghous-e-Thani and his title is well known as Shah Abadal. 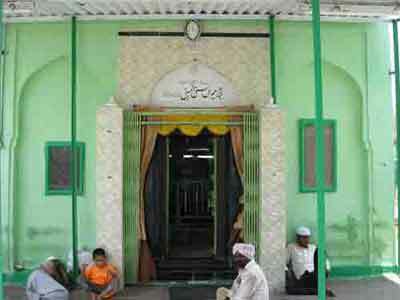 Hazrat Meran Hussaini al Hamvi (R.A) grave is located in Lunger House, Hyderabad, Telangana, India. The Urs ceremony (death anniversary) is celebrated annually on the 27th to 29th of Zilhaj, the lights are illuminated on the mausoleum. On this occasion people from various walks of life, irrespective of caste and creed, assemble to celebrate the Urs (death anniversary) which takes place on the above dates of Muslim calendar at the famous mausoleum of Syed Meeran Hussaini Baghdadi annually. Several hundred thousand devotees from near and far, irrespective of religion and beliefs, gather there to seek blessings. During the Urs (death anniversary) time the visitors in large number will visit the shrine for the fulfilment of their desires and wishes for the sake of Sheikh’s name. In this way the above ceremony will be arranged on grand scale and the visitors will visit the mausoleum from near and far away places in large numbers will visit the shrine and pray Allah for the fulfilment of their desires and wishes for the sake of the Shaikh’s name. On the illumination day of shrine the flower wreath will be sent on the camel to the shrine from the Golconda army men. During the Urs (death anniversary) time there are good arrangements by local police to control large number of visitors at the shrine. Daily there are bus services from Naya pool to Lunger House and its route number 80 and during the Urs (death anniversary) there are several buses provided from Naya pool. On 12th Jamad Awwal sheikh left this world so on this day there will be recitation of Surah Fateha verse and this ceremony is known as small Urs (death anniversary) or small sandal. His name is Hazrat Meran Hussaini al- Hamvi but he was well known and famous as Hazrat Syed Meeran Hussaini and he belongs to Sadat (descendant of the holy prophet through his daughter Hazrat Fatima) family member. And due to this reason his name is called Hussaini and due to very much used with this name he is called as Hussaini instead of Hussain and his patronymic name is known as Ghouse Thani and his title is well known as Shah Abadal. He belongs to a family member of Sheikh Abdul Quader Jilani of Baghdad and he was connected with above the great Shaikh in the 14th generation. 1.Hazrat Syed Shah Meran Hussaini Baghdadi. 2.Hazrat Syed Shah Masud Hasan al-Hussain Quadri Alhamvi. 13.Hazrat Emaduddin Abi Saleh Nasr Mohamd Quadri. 14.Hazrat Syed Tajuddin Abdul Razaq Quadri. 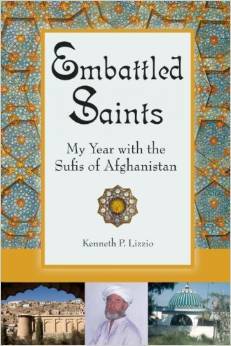 15.Hazrat Sheikh Abdul Quader Jilani Baghdadi. 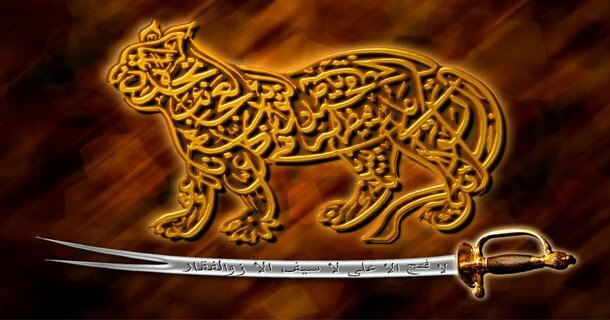 He was born in the year 960 Hegira in the famous and well know city of Iraq Hamat and for this reason he is called Al-Hamumi. Since his early age, he has been much interested in knowledge of Zaheri (outside) and with this knowledge of Zaheri (outside) and there was a passion for him for Talab Haq (one who seeks Allah) and he becomes perfect in the following things upon doing his great endeavours and many hard tasks in this matter. 1.Mystics exercise. 2.Endeavours. Over long time he was obtained caliphate up on his Bait (pledging spiritual allegiance) with his father Hazrat Syed Shah Masud Hasan al- Hussaini Quaderi Baghdadi and upon getting an award of saintly dress he has started the teaching preaching work of Islamic religion in the foreign land. During his youth period he was migrated from his place of birth Hamat and reached for the Golconda Kingdom along with his 100 disciples and devotees and settled down in the mosque, which is near Golconda fort in Malkapur village (Lunger House) and till his last days he lived there. He has complete trust in Allah and he was used to engage whole night in the worship of Allah and he never missed his Tahjud prayer (supererogatory prayer in the early hours of the morning .He did not used to have any link and connection with mankind and the world. He was always used to busy in Zikar (invocation) and Shagal (engagement). Due to his Tawakal (trust in Allah) and Istagna (content) he will not accept presents and gifts by his disciples and devotees. He was very kind hearted pious person. He used to help poor and needy persons. Due to his following qualities large number of persons used to present always around him to get his favour and attention.1.Zahed (mystic). 2.Taqva (piety). 3.Spiritual status. General and special persons used to be benefited by his Faizan (favour) and Irfan (intimate knowledge of Allah). There are many events of his miracles and revelation are available in the historical records and from his many thousand miracle one of the following event is well known and famous. Once there were 100 persons with him and there was nothing available with them for their food for three days and for this reason Dawesh and other persons in the shrine were facing severe hunger with them and feeling problem and difficulty in this matter. On the fourth day as per order of Sultan Mohammed Quli Qutub Shah of Golconda Kingdom ,the companion of Sultan, Istaqlal Khan come to his residence with 50 Qawan (trays) of different royal food items and presented them to Sheikh so he has accepted Qawan (trays) and distributed them among his 100 companions and all have eaten the royal food as per their requirement and needs. So upon this Sheikh closed the Qawan (trays) and returned them to the royal kitchen. In the royal kitchen when the royal servants opened the Qawan (trays) and they found all Qawan (trays) as it is and there was no shortage of food items in them and all were full. For this reason upon watching his great miracle Istaqal Khan immediately proceeded to the Sheikh’s residence and become his true disciple and devotee. There is no death for pious and holy personalities of Allah but as per rules and regulations, Allah will transfer them from one place to another and another world is better than this world and this transfer is well known as death or another world. This great pious personality of Deccan left this word on 13th Jamad Awwal in the year 1049 Hegira at the age of ninety years. His tomb is situated in Lunger House cross roads area in the northern side of the road and on its left side the mausoleum of this great Sheikh is situated and there is one door on the southern side of the tomb and now one more door is added and which was constructed by some devotee for the convenience of the visitors there. The construction of the above tomb is based on the royal construction of Golconda style and in this tomb there are two graves are available and the details are as follows. 1.Sheikh’s grave. 2. In another grave, his wife is buried and this grave is constructed in the ladies grave style . Around the above graves there is wall of marble was constructed and in its southern side the details of the person who has constructed this wall is written as follows.‘By lieutenant colonel Mohiuddin Ali Khan, Inspector General of Nizam’s Special Armed Forces.’ Around marble walls on the sides of two graves there were fixed 12 wooden poles of 6.10 feet and with these poles there was provided frame like structure and in this area there are three arches in all sides. On the grave there is one egg of ostrich and there are also many applications are available there. In the above area there is provision of electricity. In the above tomb there is one door on which there is a stone tablet is available there in which it was written as follows. This is the Shrine of Syed Meran Hussaini Baghdadi and the name of the person who presented this tablet is as also there as Ghulam Rasul resident of the Makkah Mosque area. In adjacent to the shrine’s large area on the eastern side there is big water well and its water is sweet. Some time before when there was no provision of water taps in the shrine, then at that time the water of the above well was used in the shrine. Even today the visitors who used to come to visit the shrine for the fulfillment of their desires and wishes used to take bath from the water of this well. There is kitchen near the well at the back side of the shrine. At the time of the Urs (death anniversary) food items are prepared in this kitchen area and in the compound area a tent will be fixed in which the visitors to the shrine are provided food and benediction on this occasion . Every year on the 27th to 29th of Zilhaj the Urs ceremony is celebrated and the lights are illuminated on the mausoleum. On this occasion people from various walks of life, irrespective of caste and creed, assemble to celebrate the Urs (death anniversary) which takes place on the above dates of Muslim calendar at the famous mausoleum of Syed Meeran Hussaini Baghdadi every year. Several hundred thousand devotees from near and far, irrespective of religion and beliefs, gather there to seek blessings. During the Urs (death anniversary) time the visitors in large number will visit the shrine for the fulfillment of their desires and wishes for the sake of the Sheikh’s name. In this way the above ceremony will be arranged on a grand scale and the visitors will visit the mausoleum from near and far away places in large numbers will visit the shrine and pray Allah for the fulfillment of their desires and wishes for the sake of the Sheikh’s name. On the light illumination day of the shrine the flower wreath will be sent on the camel to the shrine from the Golconda army men . During the Urs (death anniversary) time there will good arrangements of local police to control large numbers of visitors at the shrine. There is daily bus service from the Naya pool to Lunger House and its route number is 80 and during the Urs (death anniversary) there will be many buses will be provided from Naya pool to Lunger House area. On 12th Jamad Awwal Sheikh left this world so on this day there will be a recitation of verse Fathea in the shrine and this ceremony is known as small Urs (death anniversary) or small sandal. As per reference from the book ‘Tadhkirtal Auliya Hyderabad’ that due to his devotion and Sadat (felicity) Sultan Ibrahim Qutub Shah of Golconda has arranged the marriage of his daughter, Princess Kulsum Sultana with Hazrat Syed Meran Hussaini and he has no children by this marriage. The grave of Princess Kulsum Sultana is situated at the opposite of the door of the tomb at the distance of some feet and which is made of black stone. He has five sons and their names are as follows. 3.Hazrat Syed Saduddin Syed Asadullah. All the above were famous for the following things. The Sheikh left this world before 385 years ago, but since 385 years to till date his miracles and favours are continued and available in the shrine area. It is the experience of the day and night in the shrine area that the visitors are fulfilled with their desire and wishes and for needy person, it is the perfect place of fulfilling their wishes from this shrine. The visitors from near and far away places in large number will visit the shrine for the fulfillment of their desires and wishes for the sake of the Shaikh’s name. His spiritual court is most beneficial for the following diseases and problems.1.All diseases. 2.Evil spirits. Due to the cure of the above diseases and due to benefits of people from the shrine people from various walks of life, irrespective of caste and creed, assemble there and pray there for the recovery so his favour and affection is same and equally to all persons who will present there in his court and pray there for the recovery of diseases. As per custodian of the shrine that there are many cases of patients affected by evil spirits used to come there and get recovery soon and from February 1981 onwards there is increase of visitors to the shrine in large number. He has explained that his Jalali (majestic) condition is still alive, so for this reason once in case of patient Mr. Saleemuddin’s treatment somebody has thrown out brazier by mistake in the well so for this reason there was a great fire accident which took place in the well and huge fire flames were found there. The news report of his great miracle has been published in daily Urdu newspaper ‘Rehumai Deccan’ Hyderabad on 12th March 1981. Once one lorry driver Mr. Saleem was coming to Hyderabad from Bombay and on the way in place of Jalkot one male and female cobra snakes have come to the center of the road and for this reason the male cobra was died suddenly due to the accident by the lorry of Mr. Saleem on the spot and female cobra entered into the lorry cabin and she sat there and for this reason some persons had killed her immediately. Mr. Saleem, who was at 26 years old have came to his house in Hyderabad and after some days his health become seriously ill and his habits and movements were converted like cobra snake and he was started crawling like snake and for this reason his mother took him to many places of spiritualists for his health recovery but there was no benefit at all. After some time his mother has arranged the marriage of Mr. Saleem with Miss Durdana. After marriage Mrs. Durdana has also become a patient of the evil spirits and her habits and movements were also converted as female cobra. Due to the serious condition of Mr. Saleem and his wife the parents were becoming upset and worried in this matter, and they took them to many places for their check up by spiritualists for their cure and recovery but there was no benefit for them. So as per advice of Mr. Saleem’s friend the couple have visited shrine of Hazrat Khaja Rehmatulla Saheb of Rahmatabad in Nellore district and they stayed there for some days but due to no money for the expenses for their stay there and for this reason they were planning to come back to Hyderabad city and at that in the dream they got message that they should take ration of 100 Rupees from the shop which is opposite of the shrine for free of charge and so they have taken ration from the above shop without payment of cost and the shop owner did not demand money upon the delivery to goods to them. After some time they were instructed in their dream to proceed to the shrine of Hazrat Yousuf Saheb and Shraif Saheb at Hyderabad. So they have reached there and stayed there for some time. During their stay at the above shrine they were further instructed in the dream to proceed the shrine of Syed Meeran Hussaini at Lunger House. From the resident of Mr. Saleem which is located at the first Lancer area of the hillside they came to the shrine of Syed Meran Hussaini at Lunger House area and at the shrine they have been advised for a bath at the well of the shrine and after the bath both of them were taken for the visit of the shrine for some days. In the shrine area their habits and movements of snakes like creeping and hiss continued and for this reason the visitors noticed their habits and movements of snakes and this news was spread in the city so for this reason a large number of persons came to the shrine to see them and watch their habits of snakes. Due to the large number of visitors and gathering there was problem to control the large number of persons in the shrine and for this reason one police outpost was established under the supervision of the circle inspector Mr. Ahmed Ali Khan of police station Asif Nagar and following police men were allotted duties in the police outpost at the shrine area.1.Mr. Ishaque.2.Mr.Abdul Razzaq.3.Mr.Abdul Razzaq.4.Mr. S.R. Goud. Also the above police staff watched the creeping and hiss condition of the couple. As per the statement of policeman Mr. Abdul Razzaq that when there will be a condition of invocation of spirits upon Mrs. Durdana then she used to say to get back her husband and then she used to climb on the pole like snake. On the 4th February when there was a condition of invocation of spirits on them they both said “Baba now we are going ” and then they slept there for some time and upon their wake up they become normal and in perfect health due to the spiritual favour and help of Hazrat Syed Meeran Hussaini Saheb. Upon the above problem of evil spirits Mr. Saleem has discontinued his lorry driving work and but upon his recovery of his good health he has continued the work of lorry driving. And his wife Mrs. Durdana also become perfect and her health was also improved very well by the kind blessings of the Sheikh.